It’s me from London. Cool website. Hugh would be very proud. How are you doing? Very sad and difficult for me, miss daddy so much. Look at my website and see what I said. What else is news, how is married life? It was a pleasure meeting you at Rhonda’s visit to Toronto. Your artwork is brilliant! Keep me posted of new works. 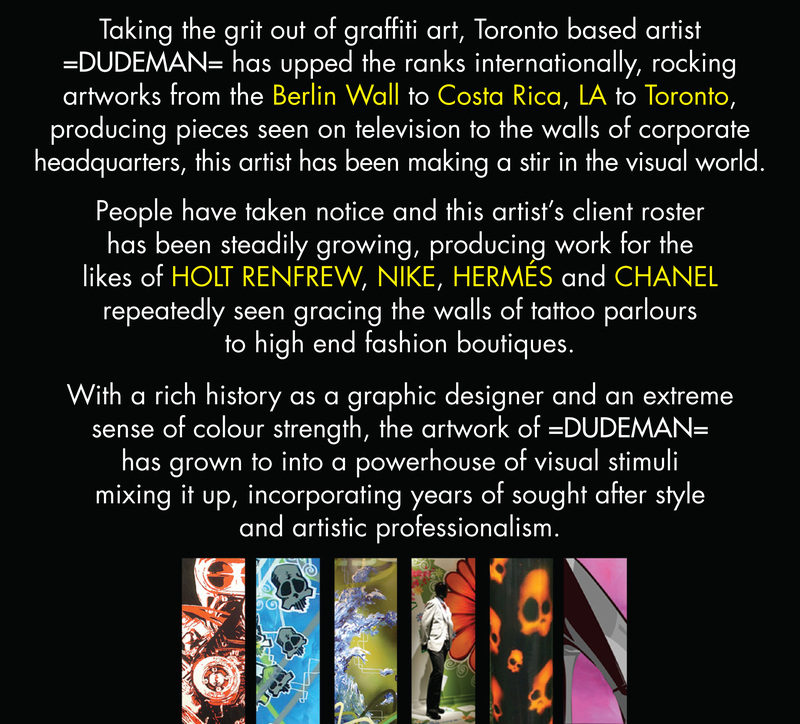 Hey Dudeman, love the work you did here at Eckler’s head office! It’s a daily creative inspiration for all of us. Your show last night at Spazio dell Arte was simply FANTASTIC. Inspriing – Energizing – Uplifting – just some of the words that come to mind. Thank you so much for such an amazing show!